I finished the faerie house this morning! Just in time to wrap it up for Christmas. 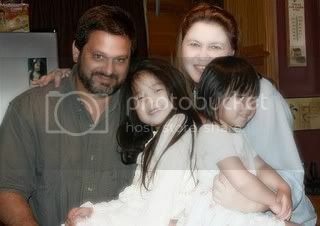 I think it's so cute, dolls and all. Paisley, above, rests in her bed of clouds. 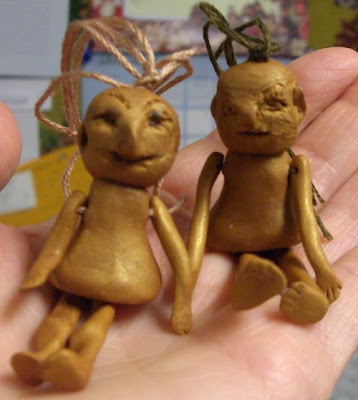 The dolls are made from Sculpey. Their arms and legs are attached with full-thickness embroidery thread. We'll see how they hold up. I wrote a little note to my daughter and Mod-Podged it to the back of the house. It's dated, with a special love note from Mommy. 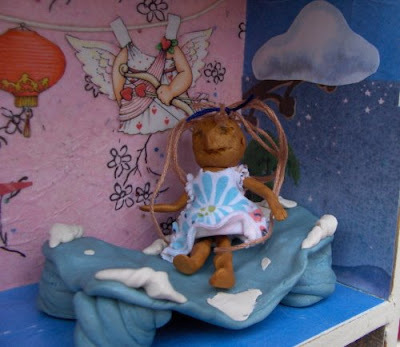 It tells her that Pinky and Paisley (the dolls) are faerie-like forest creatures that live deep in the woods. They love human food and will borrow it (steal it?) whenever they get the chance. 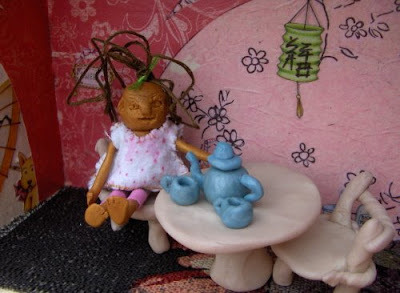 Pinky sits at the tea table. I may paint it to look like a colorful mushroom at some point. Not sure. I kind of like it as is. 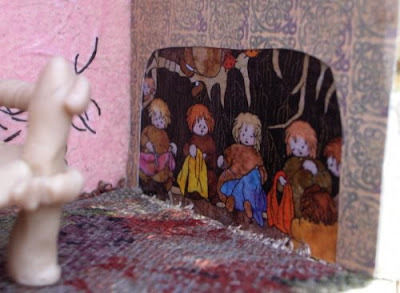 This cute little group of baby woodland creatures sits in a pretend stone hollow at one end of the downstairs. I cut the picture from an ad in a ME magazine. Ahhh. 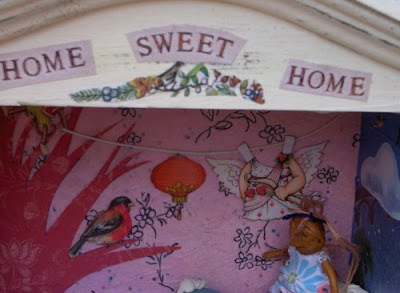 Home Sweet Faerie Home! The wall above the bed is clouds too. 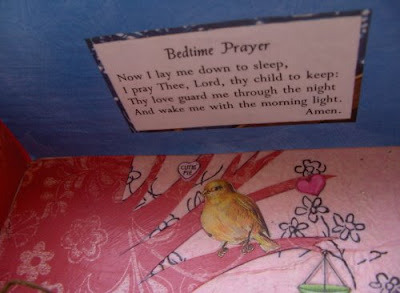 With little birds for sweet dreams. I think she'll be surprised. 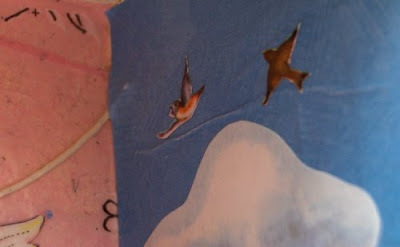 Hidden beneath the top shelf, this poem makes a sweet picture for the little faeries' ceiling. Maybe I'll have some more pictures from when she opens it. What a thoughtful, loving and fun gift for Christmas! I just love it. I love the baby woodlands... gosh, can the girls and I come and play dolls one day?! I wanted you to know that I just found this blog and I am inspired to start this project with my only princess too (i have 3 other boys and another child with cancer so want the special time) and was wondering how deep your rooms are..I just happen to have an old something we found at the good will store that has 4 sections but they are large at 13 inches tall and 9 inches deep. I know I can do whatever but worried about the ht. Patricia, I would LOVE for you and the girls to come play! Tonya, I'm sorry to hear about your sick child. My heart goes out to you. The rooms in our new doll house are 9 inches deep. 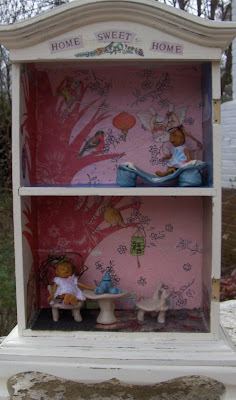 In the old doll house, which we still use and love, the rooms are 11-1/2 inches deep and probably even greater in height. I think you can use any size that you like. Here's the link to the tiered twirly-skirt tutorial. Lynn, I am so impressed! I am not sure I would have the patience for such a project. I love all of the little details. Thanks for stopping by to visit me recently. I hope you enjoyed your visit and will feel welcome anytime.